For the manly man in your life who has a weakness for chocolate, this unique gift is the perfect answer to WOW him. 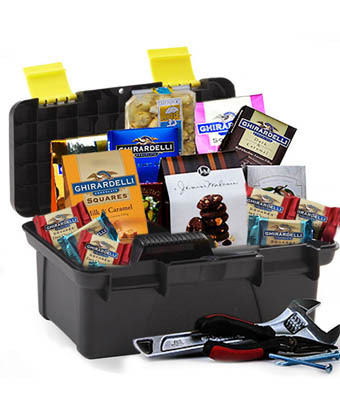 Filled with gourmet chocolate, this toolbox also serves as a keepsake after all the chocolate has been eaten. Surprise him and deliver this gift to his front doors!